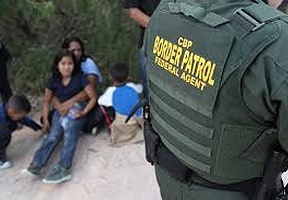 Succumbing to the overwhelming pressure by communities across the country and bipartisan criticism, President Donald Trump signed an executive order ending his administration’s “zero tolerance” immigration policy separating families at the U.S.-Mexico border on Wednesday afternoon. 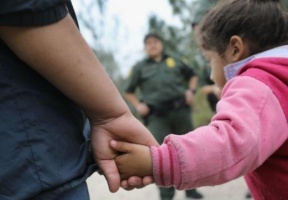 The plan, as described by administration officials, would keep families together in federal custody while awaiting prosecution for illegal border crossings, potentially violating a 1997 court settlement limiting the duration of child detentions. “We have to be very strong on the border, but at the same time we want to be very compassionate,” Trump said at the White House during a meeting with lawmakers that was opened to the media. Over the past several weeks, the Trump administration’s zero-tolerance policy has separated over 2,000 children from their parents at the border, sparking outrage after intense images and audio recordings of young children crying for their parents emerged. Until Wednesday, the president, Homeland Security Kirstjen Nielsen, Attorney General Jeff Sessions, and other officials repeatedly defended immigration crackdown, insisting that congressional action was required. “What we have done today is keeping families together,” Trump said when signing the order in the Oval Office, adding that he would still like to see Congress take action later. The White House has not released the text of the order.